Here’s where my post is going to get picture heavy. 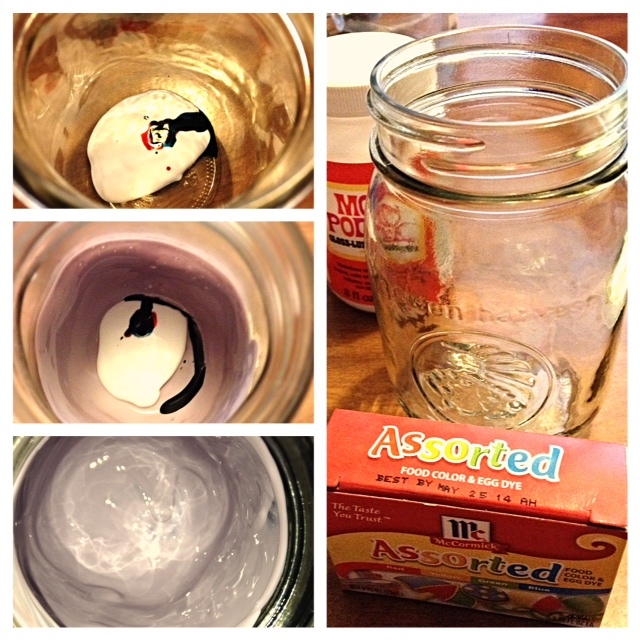 You take a clean jar (I got totally scandalous and branched out to sanitized spaghetti jars and old business jars…*laugh*) and pour a liberal amount of mod podge inside of it. 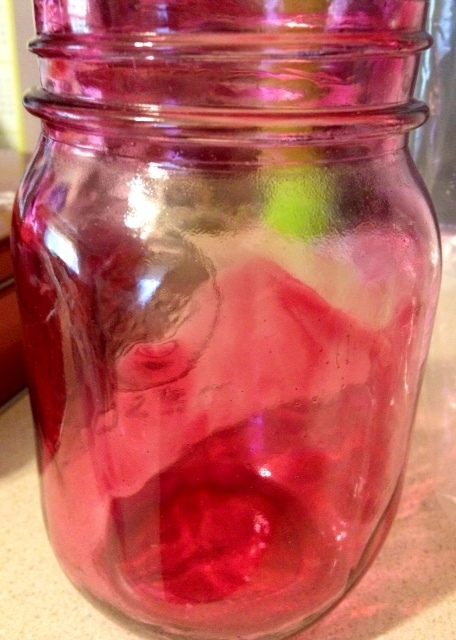 The blog advises quite a bit, but I have only needed that much for a family sized spaghetti sauce jar – the mason jars that I used didn’t need that much. You add a few drops of food coloring, stir it completely into the glue, and then swirl the mixture to coat the entire inside of your jar. Let it sit and drain for an hour or so, then flip it back over and let it finish air drying. That’s what the instructions say. Well…. 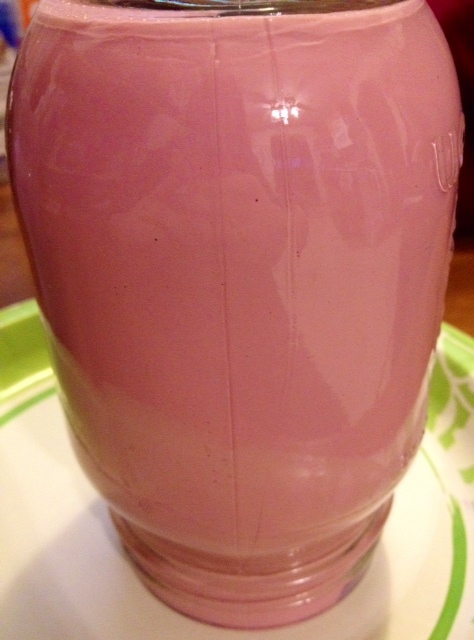 This is what happened with the food coloring. 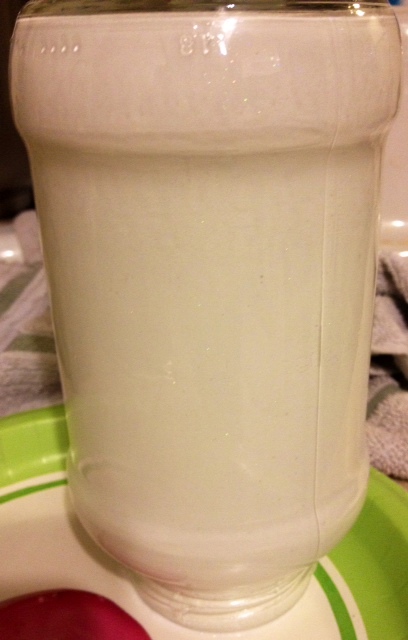 I retested it to see if there was a flaw in the application or process and realized that I had missed the instruction to turn the jar right side up after an hour or so (this was my first jar), so it had dried upside down, although most ran out and pooled at the opening on my paper plate. I don’t have a picture of the retest, but it worked fine when the directions are correctly followed. *grin* I personally don’t care for the colors I achieved with the food dye, so I was more interested in the other paints. Now, here’s the coolest part. 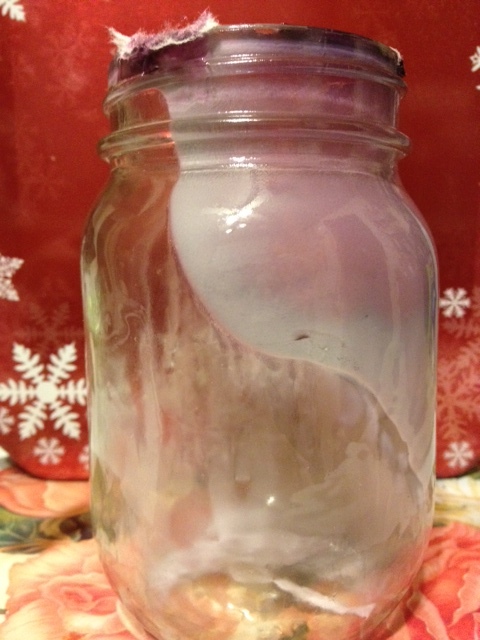 If you don’t like your results, fiddle with the coating at the lip of your jar and you can peel the whole shebang out and start over (after rinsing)! How cool is that?! So, you’ll understand why I’ve done these a lot of times, but don’t always have the pictures to back the comments up. 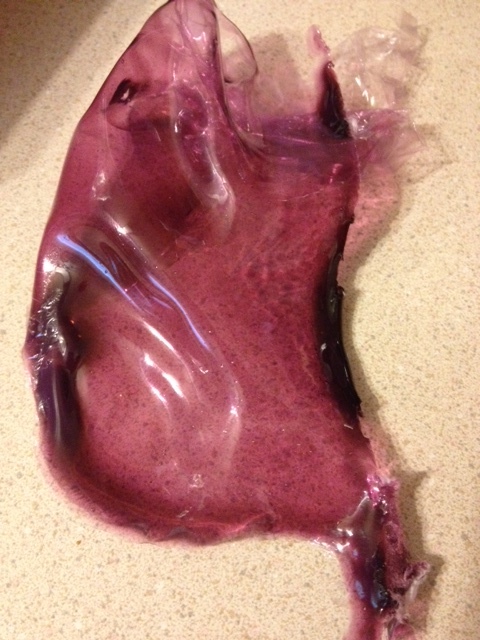 *laugh* The second pic is the dyed glue “skin” which is absurdly fun to squish and stretch. I won’t judge you if you don’t judge me. *teasing grin* It’ll be our secret squishy stress reliever. 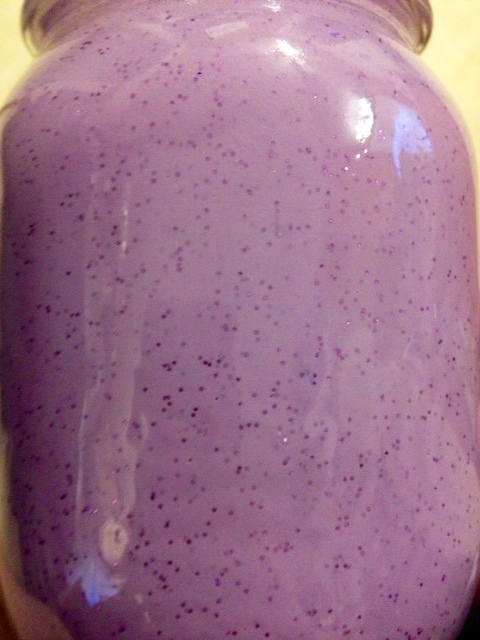 The above is mod podge with super fine iridescent glitter that is rated as safe for cosmetics, which I use in soap. At first it’s white, but then it dried completely clear and look at all of the pretty sparkles!! *cheesing* Yeah, I’ve turned the bend. They’ll probably be coming to size me for my straight jacket soon…(Something else to note is that no matter what color you’re using, it’s going to look like a pastel at first and won’t be anything like what you’re going for. 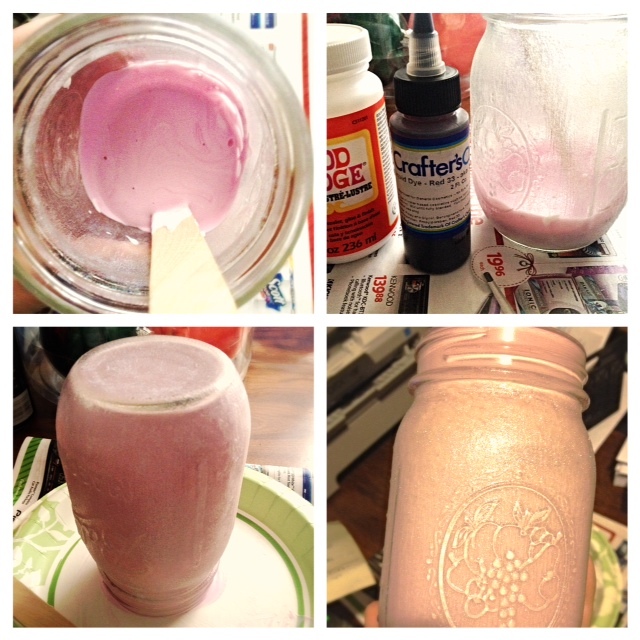 I found that 4 drops of actual dye worked great for vibrant colors and about a teaspoon of craft paint was perfect. This is what really got us all amped up about the lavender one. 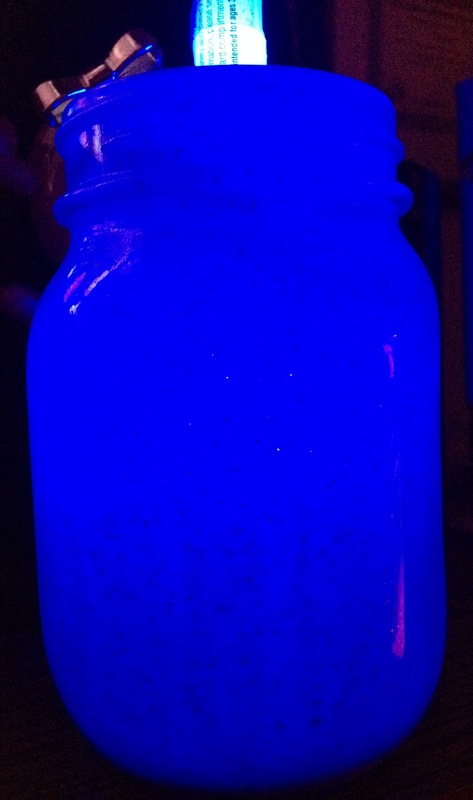 Larry came into the room as I was trying out a flickering LED tea light in the jar and said he wanted to try something. He came back with his color changing glow sticks that he uses when he goes riding at the dunes in Oklahoma (safety measure so others know where your vehicle is at night and so it’s easier to judge where your vehicle ends, since it’s dark as can be in the middle of those dunes and you don’t want to clip someone). 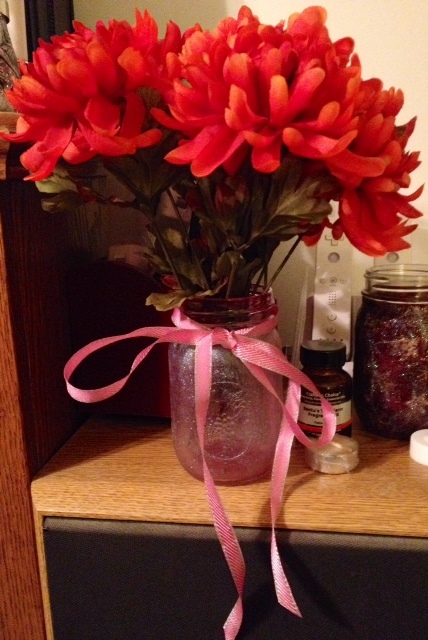 The above pictures were taken in that lavender jar! I’m not from Jersey, but those are still wicked cool!! Plain and simple. I think this would be awesome for a preteen, too. There are so many glow in the dark craft paints on the market and a ton of different glow sticks, even, so they might not even need a black light. We sure didn’t use one. I never outgrew (nor did Larry) my love of glow in the dark things obviously and would have gone ape over this as a teen. 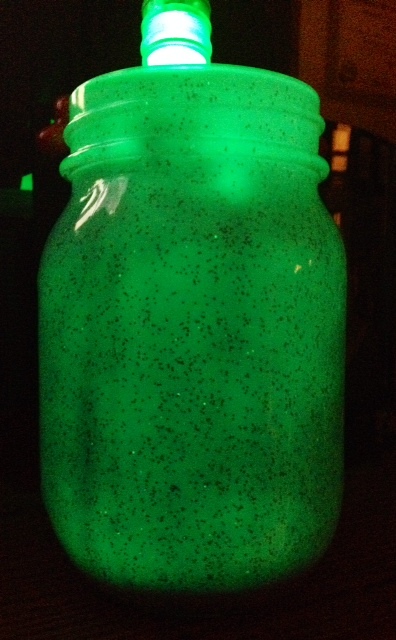 We plan to do some of these jars as luminaries if we get to do a morbid anniversary or Halloween party someday. *crossing fingers* How awesome would these look in a darkened room with a creeping fog from a bowl of dry ice near them?! In the end I had several that I tore out, but all in all I loved this project. 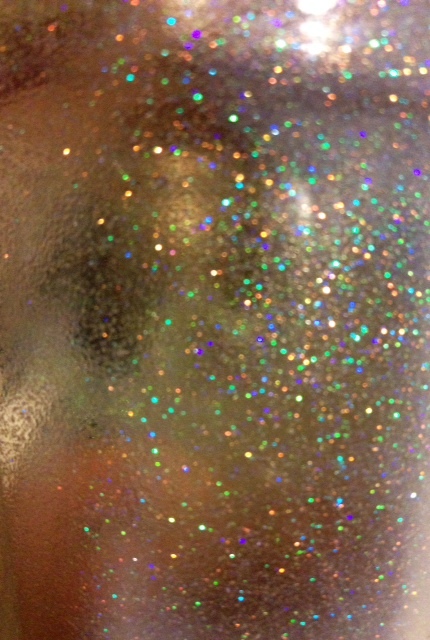 As a matter of fact I bought a bottle of extreme glitter craft paint while grocery shopping today, so I’ll share pictures of that attempt soon. I’m at war with myself over spending the next hour of insomnia watching the new episode of Face Off, which I’ve been eagerly anticipating, or go try out my new paint. *laugh* Since I’ve had limited use of my right arm for the past 36 hours from a small mishap I think the season premiere will win out this time. I really hope you’ve enjoyed seeing my results and experiences, and please share with me your results if you try this. I’d really love to see your creativity. Feel free to link in the comments or email me. It’d totally make my day. *grin* In the meantime, pamper on Garth. 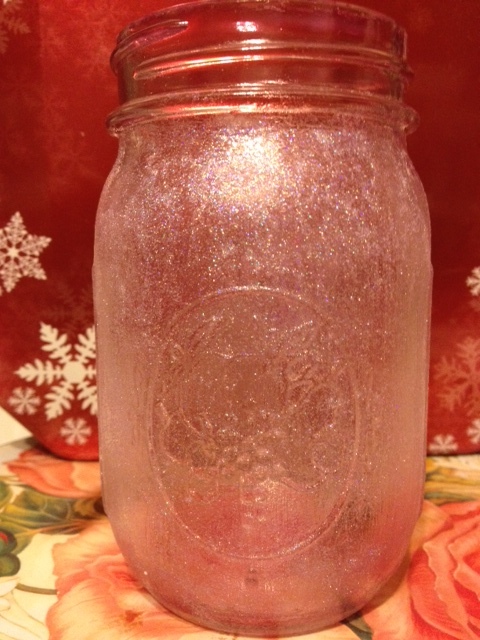 Posted in Uncategorized and tagged crafts, DIY, Glitter, handmade, Homemade, Mason Jar, Mod Podge. Bookmark the permalink.